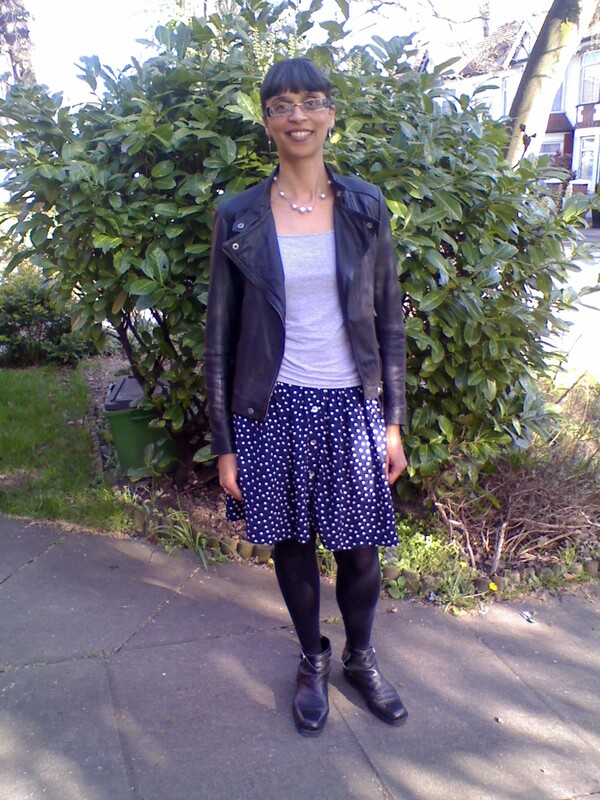 At the weekend, I went to the local boot sale and came away with this polka dot skirt, perfect for summer. Its a vintage skirt by Jigsaw and was only 50p. I wanted something with polka dots, plus a 'flippy' style skirt, so for the money I had to buy it!! 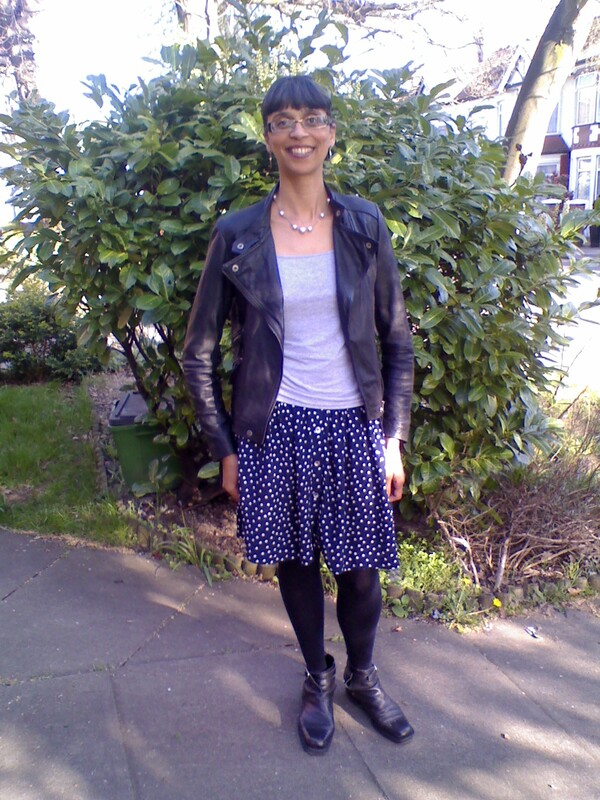 I've dressed it down with my black leather biker jacket, biker ankle boots and a grey cami. My pearl necklace was added for a girly touch. OT: I feel like you haven't been posting as much. What's up? *sulking!!! * Am I imagining it? Polka dots are so much fun. Wearing them always makes me happy! wow thats such a great find plus great great deal!!! I love the entire outfit. Nice mix of the feminine with the masculine. Great outfit! I so love the thrifted skirt with that awesome leather jacket! Hi everyone-your lovely comments are much appreciated, thanks a lot!! lovely outfit - 50p is unbelievable! Cute skirt. I love polka dots! Lovely look, polka dots rock! Hi ladies-thanks for stopping by! !